Dr. Gallus provides commentary for this ASPS sponsored liposuction video. 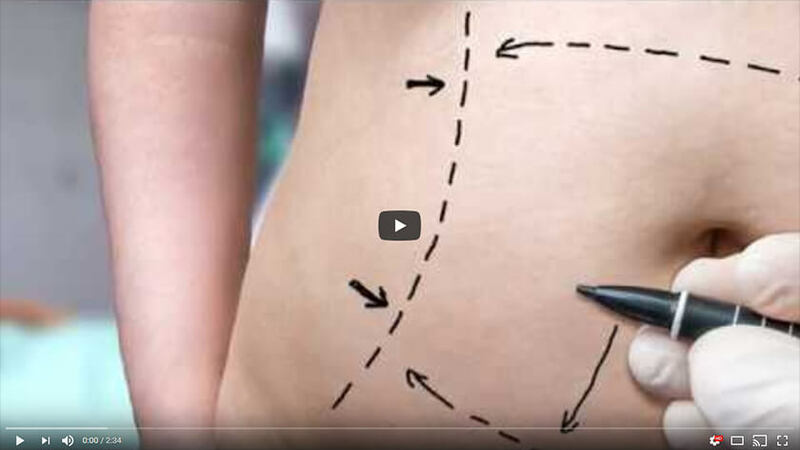 Watch to learn more about the benefits of liposuction. Liposuction’s a popular cosmetic procedure that removes stubborn areas of fat from specific areas of your body, to improve your shape and contour. The most common areas are love handles, the tummy, under the neck, the thighs, and the arms and the back. Liposuction is often combined with other cosmetic procedures to enhance the results. The most common ones are abdominoplasty or tummy tuck, breast or chest surgery, and face lifts. Liposuction’s not a weight loss procedure, first and foremost. It does not solve your obesity problem. It’s designed ideally for people who are close to their ideal weight and just have those localized areas of fat. It also isn’t an effective treatment for cellulite, so the lumps and bumps you might have in areas of fat, it doesn’t treat that. It’s not a solution for saggy, loose, or wrinkled skin and will not tighten the skin.The advantage of liposuction is that it’s completed in one treatment and that all the fat cells that are removed at the time of treatment are gone forever. With non-invasive treatments, you require multiple treatments and the results are less predictable. The treatment involves waiting for your own body to absorb those fat cells and remove them. Liposuction is a procedure that’s performed safely as an outpatient. It can take anywhere from 30 minutes to two hours. It can be done under local anesthetic or general anesthetic, depending on your comfort level and the safety of the procedure. At your consultation for liposuction, your board-certified plastic surgeon will work with you to achieve your goals. This often involves taking a complete history, taking pre-operative photographs and reviewing them with you to discuss the areas of concern you may have, and what the possible liposuction options are to solve those problem areas of fat. Once that’s done, they’ll review the risks and complications of the procedure, the expected outcome, the expected time to recovery, and the expected time you can go back to your daily activities. Those are all discussions you should have with your plastic surgeon and that’s the time to bring up any questions you may have for them. Three days after surgery, I feel really excited. I feel like I can go out with my friends, and go to work, and focus on that, and not have to worry about how I’m feeling in my clothes. When considering liposuction, it’s important to do your homework with the American Society of Plastic Surgeons. You can schedule a consultation, see before and after photos, and learn if liposuction is the right procedure for you at plasticsurgery.org.